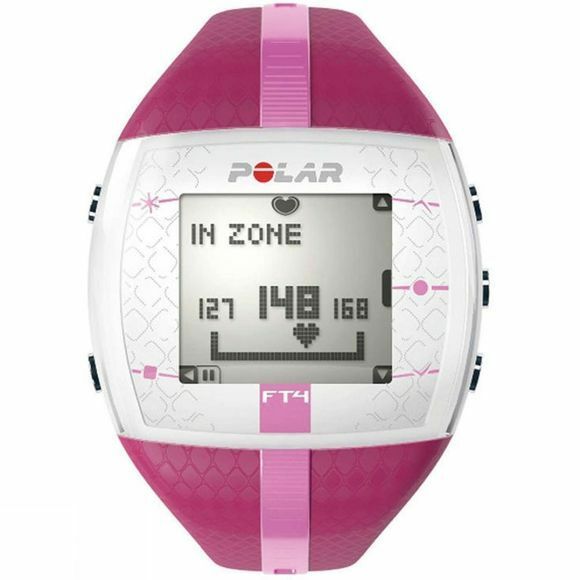 The Polar FT4 is great for those who want basic heart rate-based features to keep their fitness training simple. Allows you to keep track of your improving fitness based on your heart rate and displays your calories burned. The FT4 features a backlight, date and weekday indicator, Time of day (12/24h) with alarm and snooze, dual time zone, low battery indicator and is water resistant up to 30m. Heart Touch, different training information during training can be accessed without pressing buttons, for instance, when gloves make pressing buttons difficult, by bringing your training computer close to your transmitter.